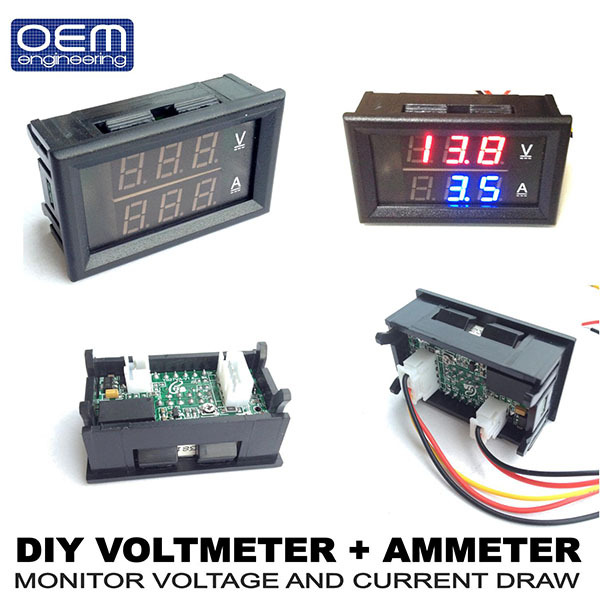 Build your own voltage and current monitor with our new Voltmeter Ammeter kits. 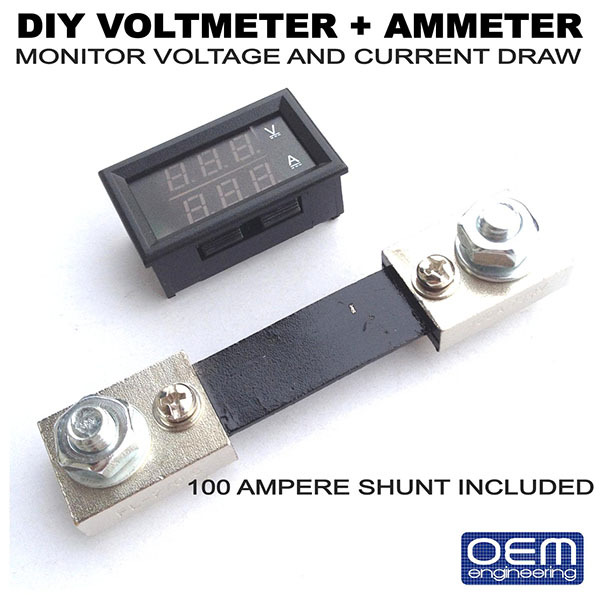 Each kit includes one high visibility gauge and one 100 ampere shunt. 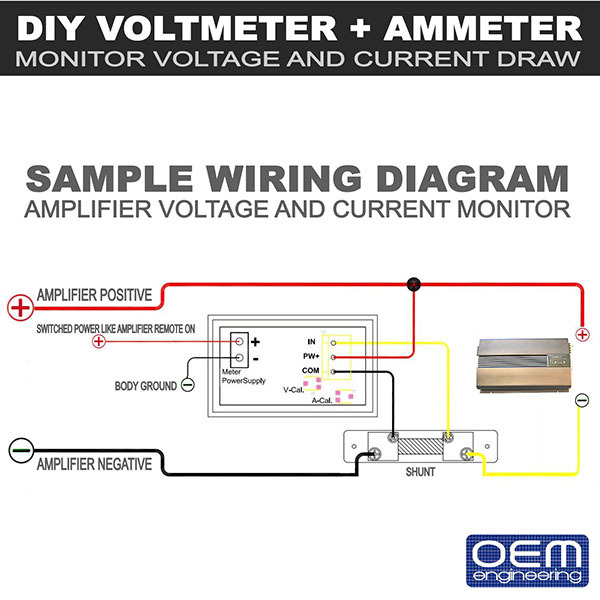 Perfect for monitoring your car amplifiers' voltage and current draw in real time, real world conditions. Find out for sure if your amplifier is going into high current, or whether or not it's getting sufficient power from your battery/alternator. Is your amp efficient? Is it actually drawing enough current to justify the advertised wattage rating? Time to measure and know for sure. Includes a flush mount housing. Use multiple monitors for multiple devices! 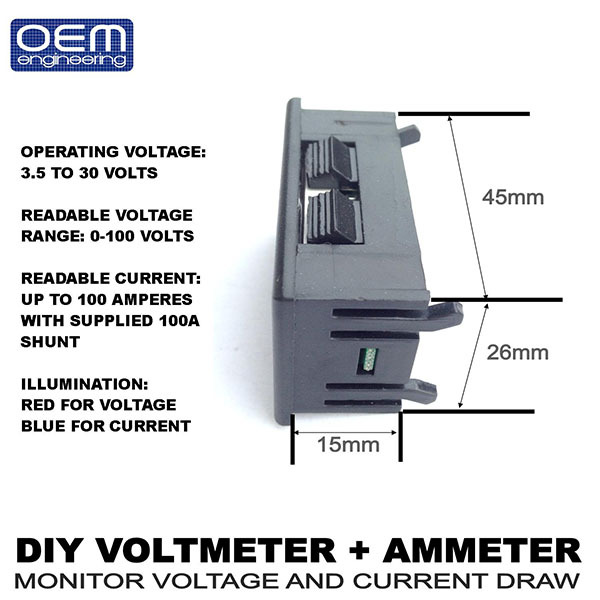 Can also be used for lighting (hid versus led current draw etc. ), electric motors, alternator output etc. Please refer to the pictures for dimensions and wiring instructions. These are universal meters, so whether or not they fit your specific vehicle depends on your measuring skills.